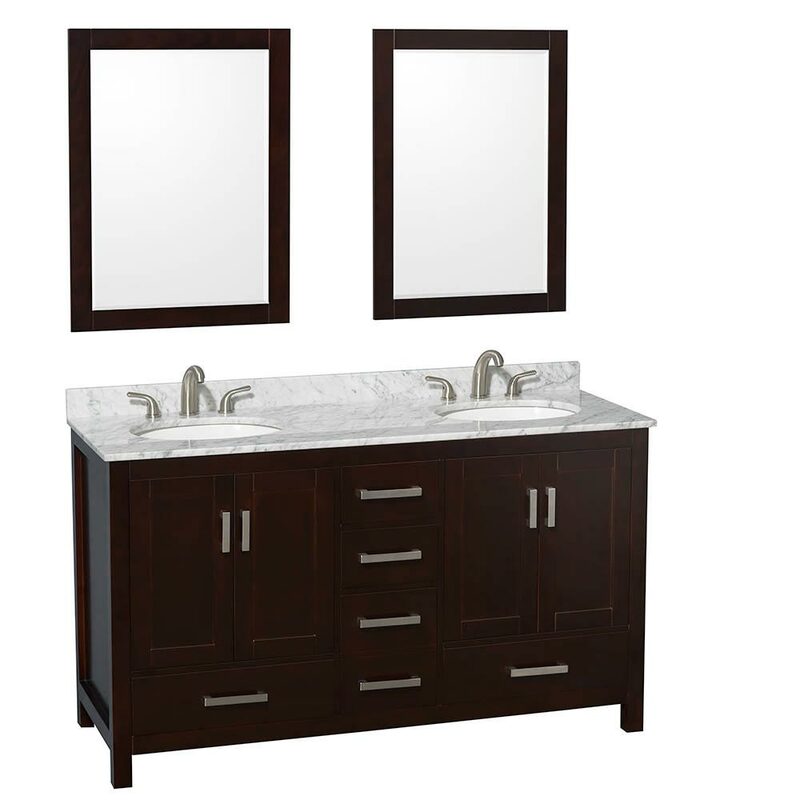 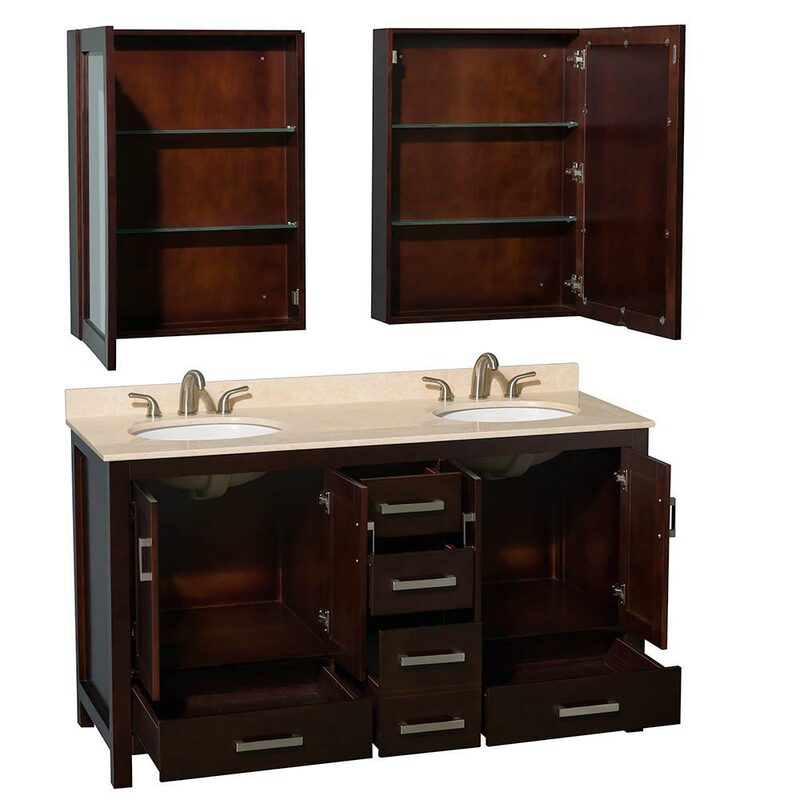 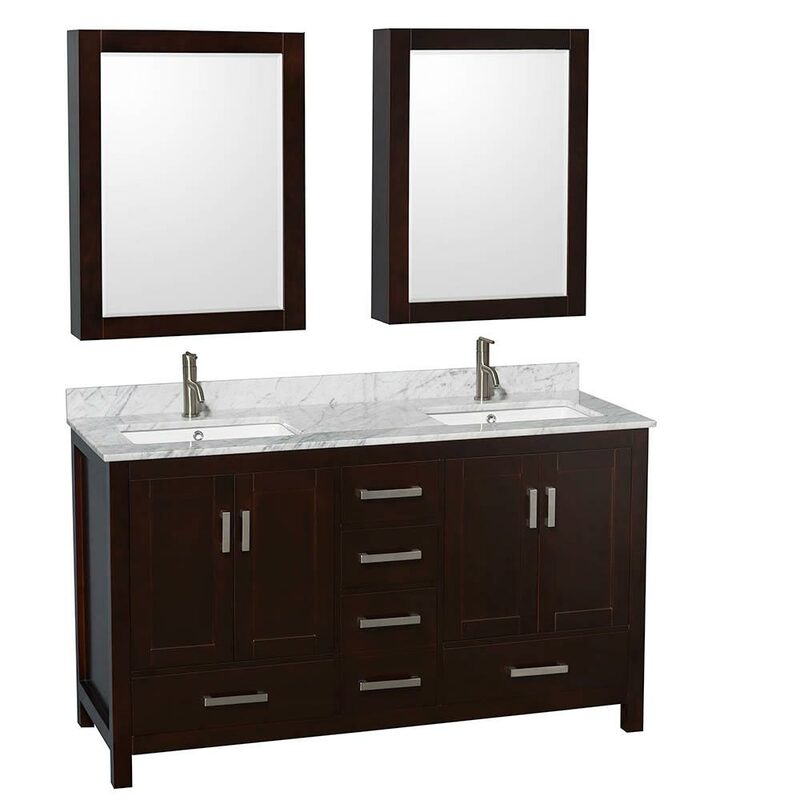 Functionality, combined with style, gives the 60" Sheffield Double Sink Vanity a remarkable look that's perfect for transitional bathrooms out there. 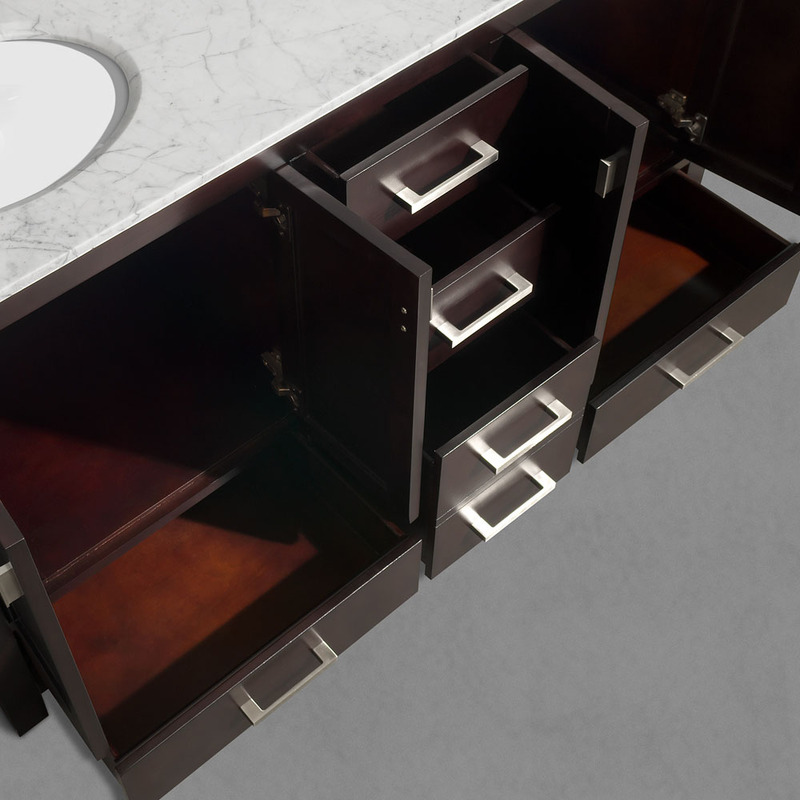 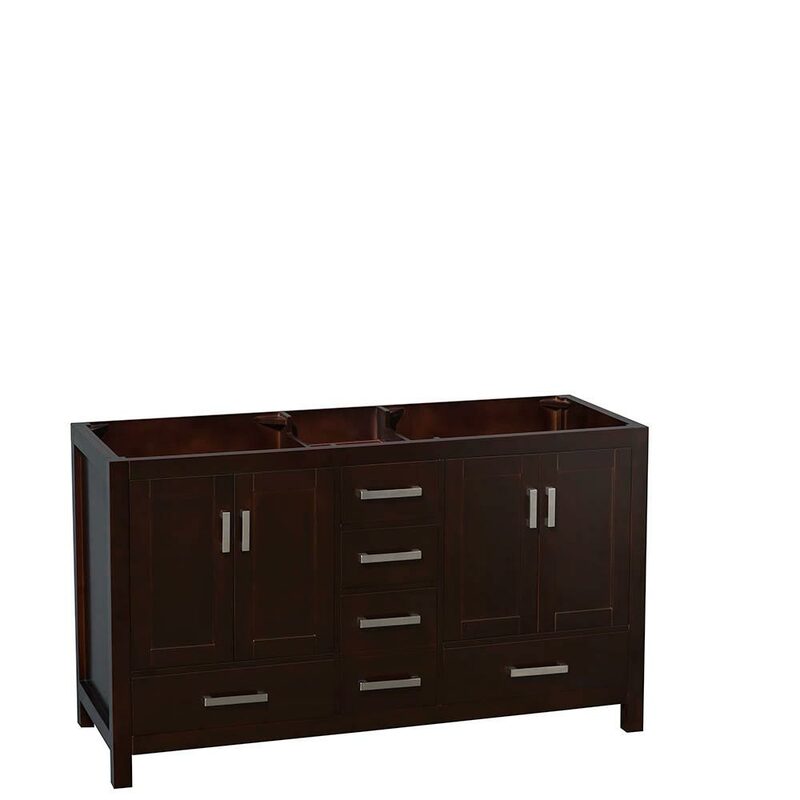 Its cabinet is finished in a beautiful Espresso finish and adorned with Brushed Chrome hardware. 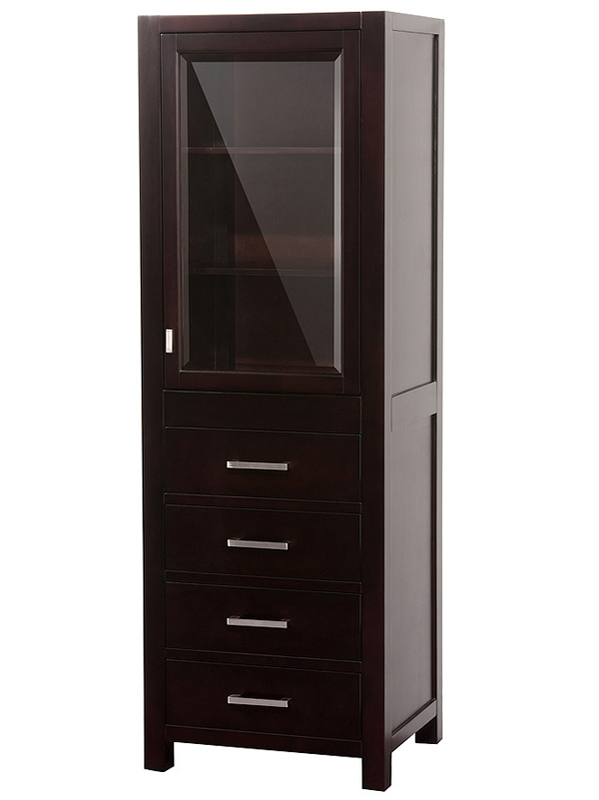 Storage wise, there are tons of storage room within the cabinet itself - with two double-door cabinets and five fully-functional drawers. 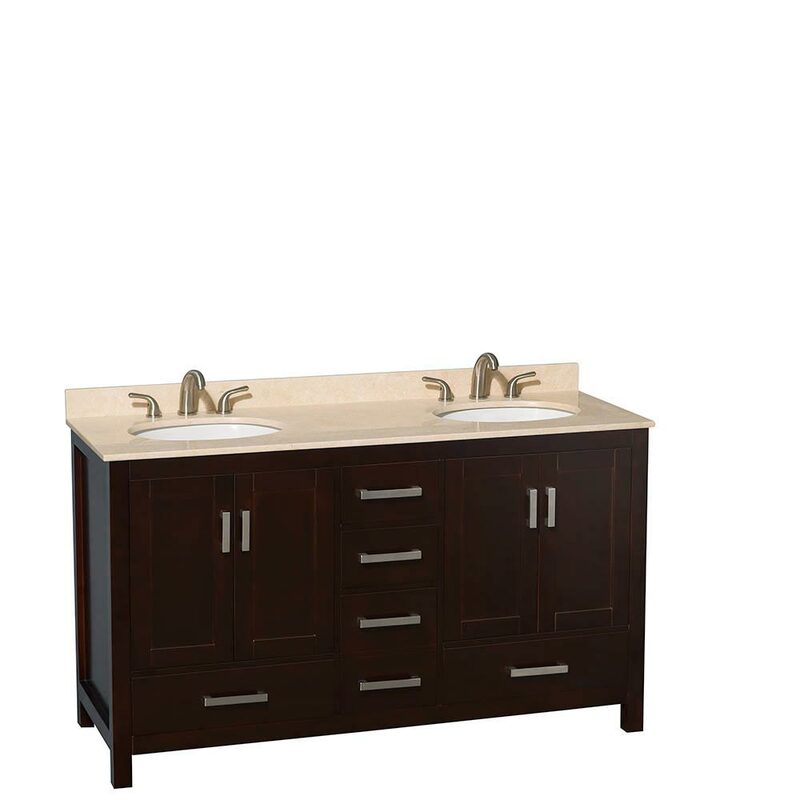 Choose from an Ivory Marble or White Carrera Marble top, both equipped with white undermount porcelain sinks and pre-drilled with three faucet holes. 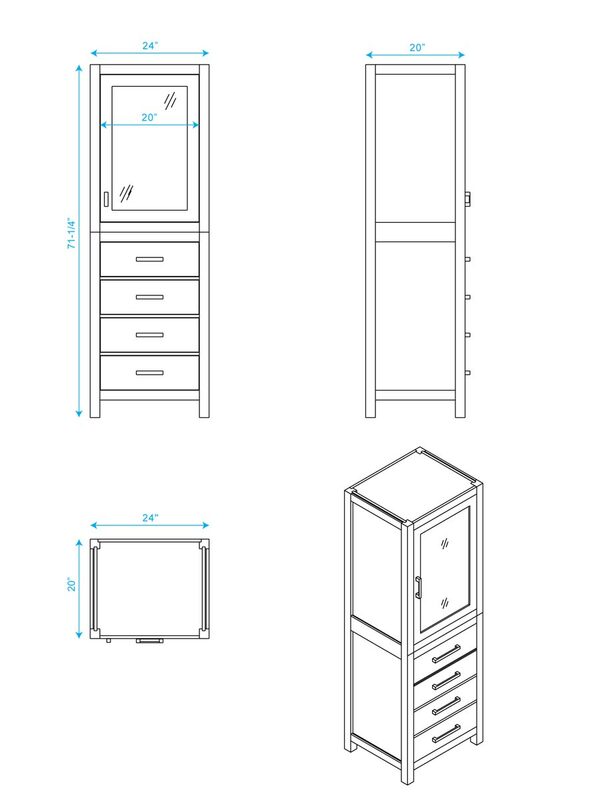 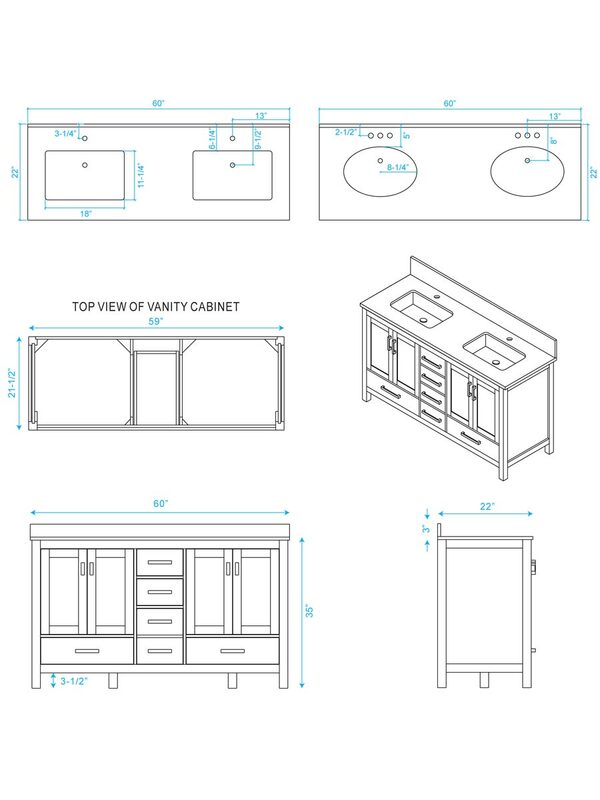 Optional linen cabinet is available in drop-down menu. 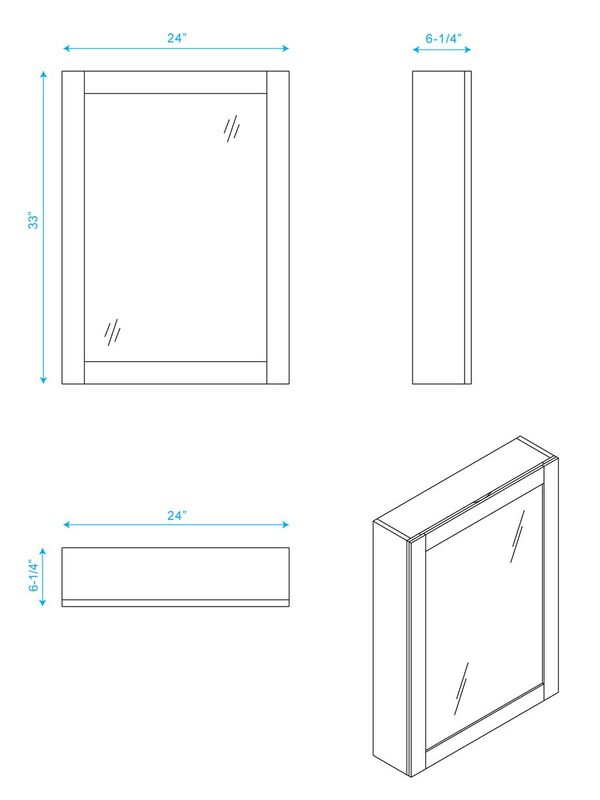 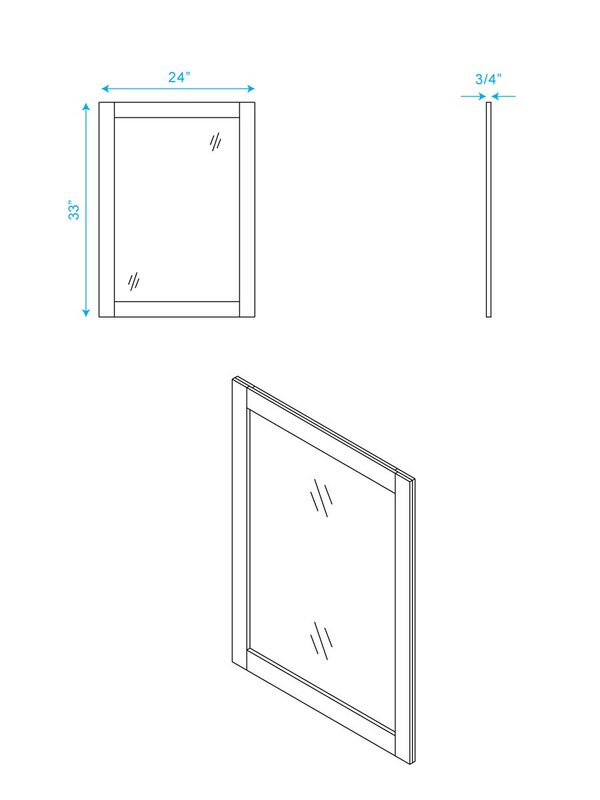 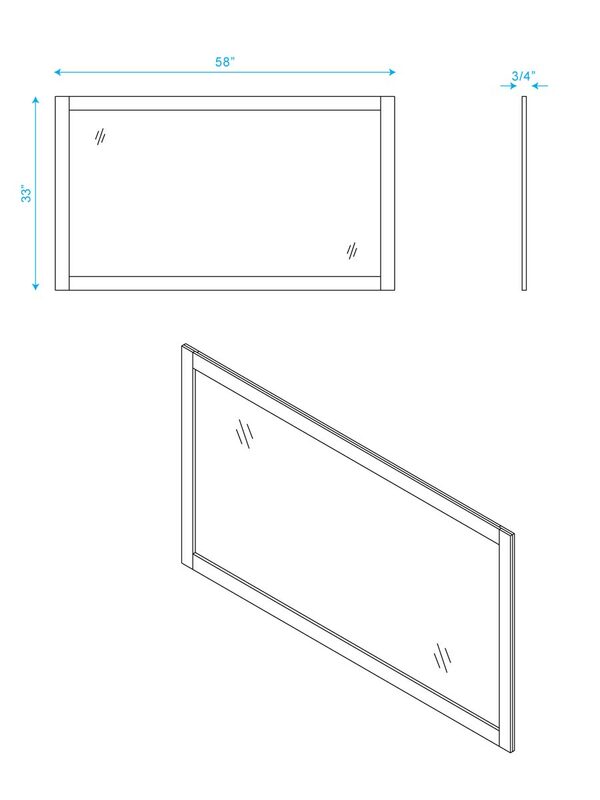 Choose from having two separate mirrors or a single large mirror.